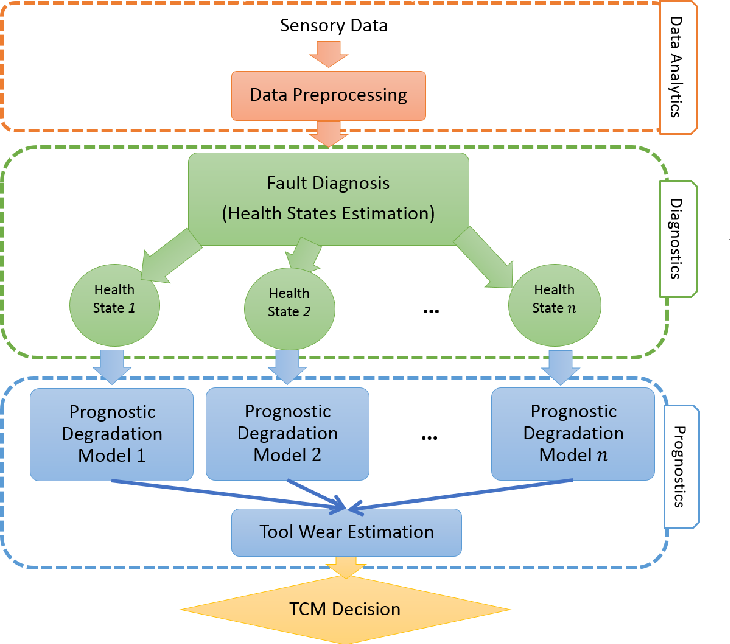 In this paper, a multi-state diagnosis and prognosis (MDP) framework is proposed for tool condition monitoring via a deep belief network based multi-state approach (DBNMS). For fault diagnosis, a cost-sensitive deep belief network (namely ECS-DBN) is applied to deal with the imbalanced data problem for tool state estimation. An appropriate prognostic degradation model is then applied for tool wear estimation based on the different tool states. The proposed framework has the advantage of automatic feature representation learning and shows better performance in accuracy and robustness. The effectiveness of the proposed DBNMS is validated using a real-world dataset obtained from the gun drilling process. 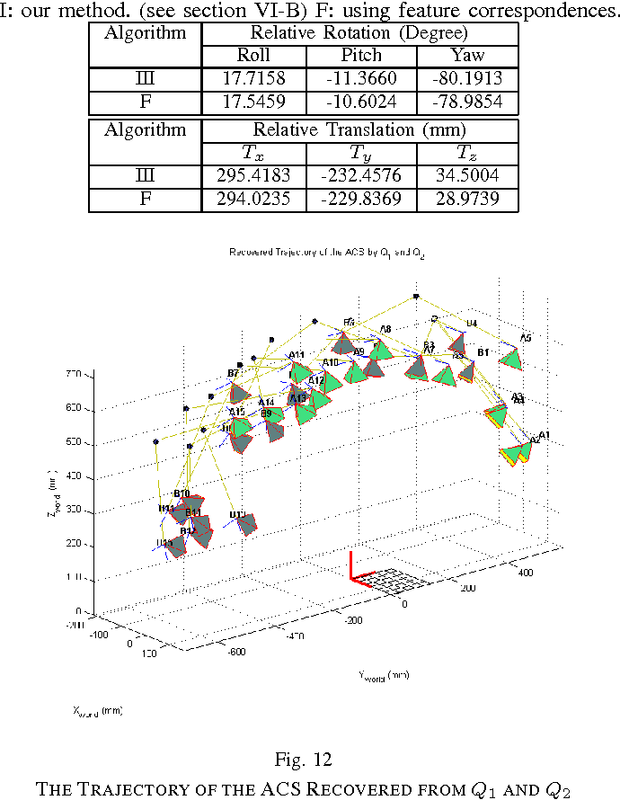 This dataset contains a large amount of measured signals involving different tool geometries under various operating conditions. The DBNMS is examined for both the tool state estimation and tool wear estimation tasks. 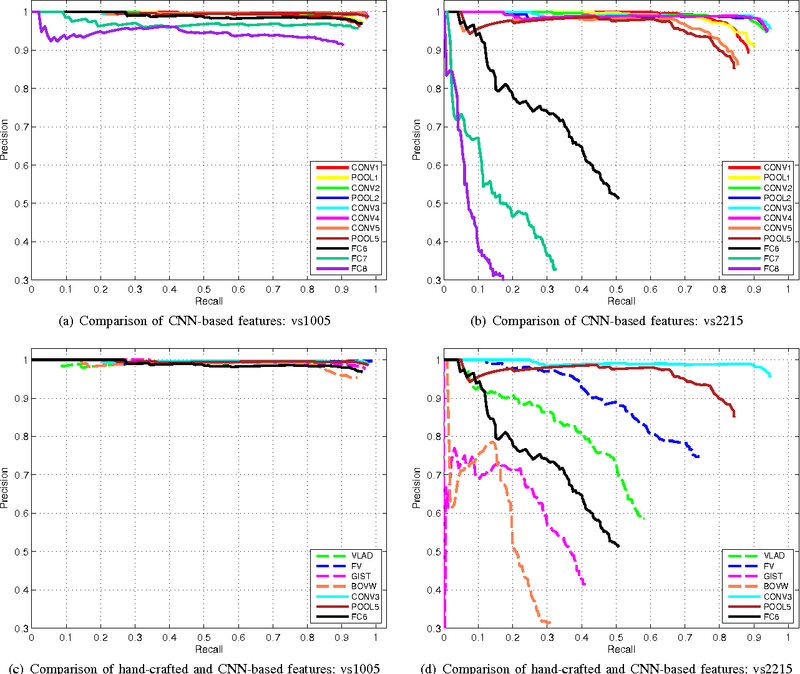 In the experimental studies, the prediction results are evaluated and compared with popular machine learning approaches, which show the superior performance of the proposed DBNMS approach. 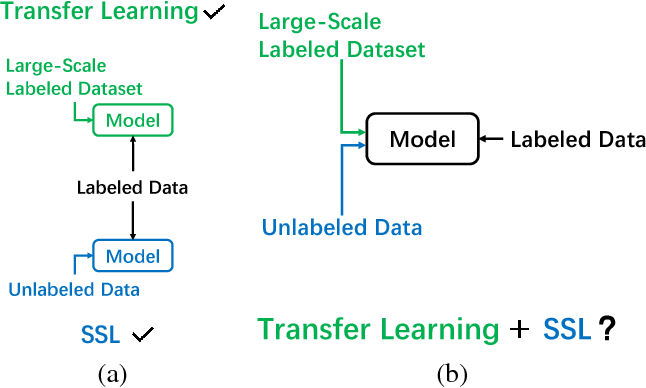 Label aggregation is an efficient and low cost way to make large datasets for supervised learning. It takes the noisy labels provided by non-experts and infers the unknown true labels. In this paper, we propose a novel label aggregation algorithm which includes a label aggregation neural network. The learning task in this paper is unsupervised. 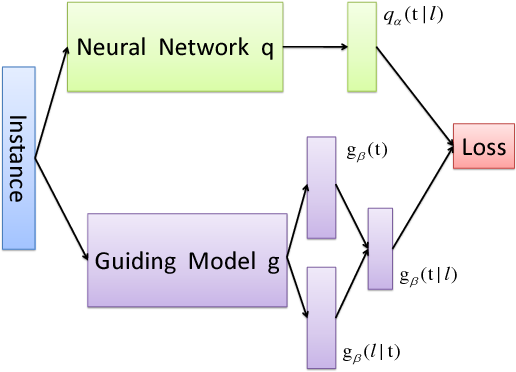 In order to train the neural network, we try to design a suitable guiding model to define the loss function. The optimization goal of our algorithm is to find the consensus between the predictions of the neural network and the guiding model. This algorithm is easy to optimize using mini-batch stochastic optimization methods. Since the choices of the neural network and the guiding model are very flexible, our label aggregation algorithm is easy to extend. According to the algorithm framework, we design two novel models to aggregate noisy labels. 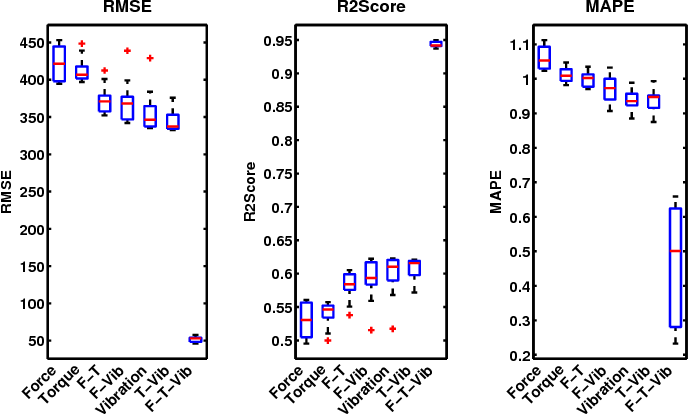 Experimental results show that our models achieve better results than state-of-the-art label aggregation methods. Deep convolutional neural networks (CNN) have recently been shown in many computer vision and pattern recog- nition applications to outperform by a significant margin state- of-the-art solutions that use traditional hand-crafted features. 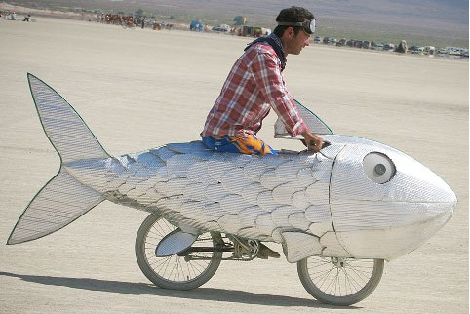 However, this impressive performance is yet to be fully exploited in robotics. 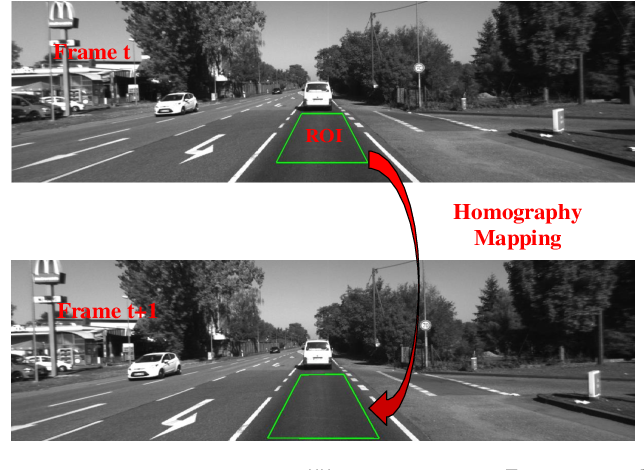 In this paper, we focus one specific problem that can benefit from the recent development of the CNN technology, i.e., we focus on using a pre-trained CNN model as a method of generating an image representation appropriate for visual loop closure detection in SLAM (simultaneous localization and mapping). 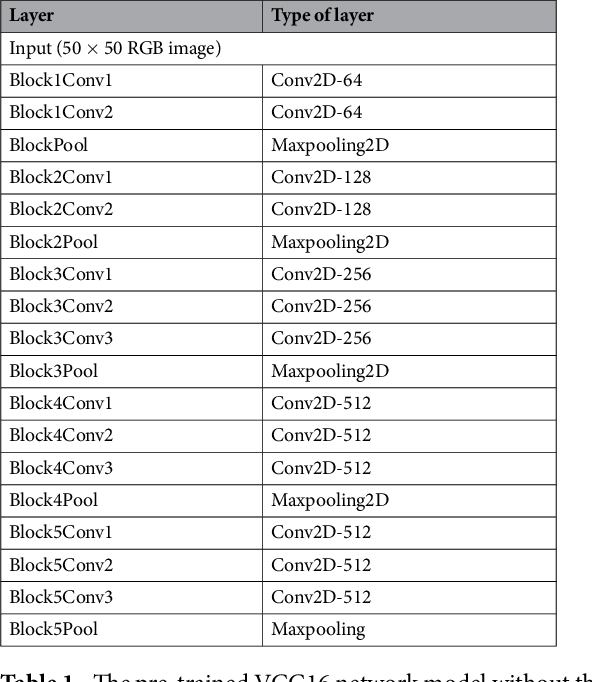 We perform a comprehensive evaluation of the outputs at the intermediate layers of a CNN as image descriptors, in comparison with state-of-the-art image descriptors, in terms of their ability to match images for detecting loop closures. The main conclusions of our study include: (a) CNN-based image representations perform comparably to state-of-the-art hand- crafted competitors in environments without significant lighting change, (b) they outperform state-of-the-art competitors when lighting changes significantly, and (c) they are also significantly faster to extract than the state-of-the-art hand-crafted features even on a conventional CPU and are two orders of magnitude faster on an entry-level GPU. Semantic segmentation is a fundamental task in computer vision, which can be considered as a per-pixel classification problem. 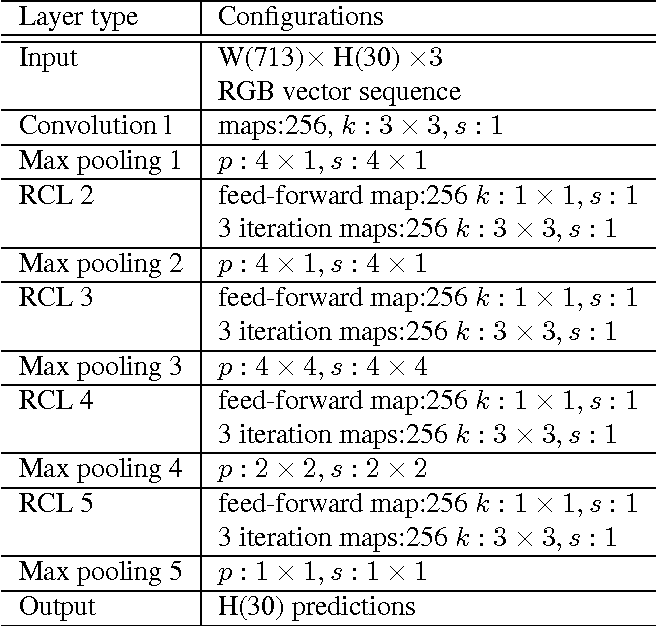 Recently, although fully convolutional neural network (FCN) based approaches have made remarkable progress in such task, aggregating local and contextual information in convolutional feature maps is still a challenging problem. 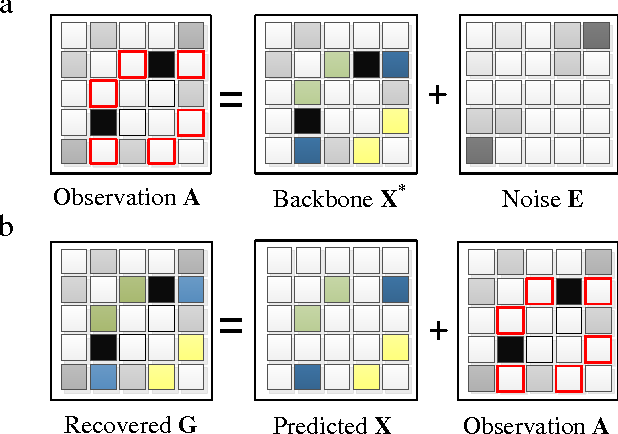 In this paper, we argue that, when predicting the category of a given pixel, the regions close to the target are more important than those far from it. To tackle this problem, we then propose an effective yet efficient approach named Vortex Pooling to effectively utilize contextual information. Empirical studies are also provided to validate the effectiveness of the proposed method. To be specific, our approach outperforms the previous state-of-the-art model named DeepLab v3 by 1.5% on the PASCAL VOC 2012 val set and 0.6% on the test set by replacing the Atrous Spatial Pyramid Pooling (ASPP) module in DeepLab v3 with the proposed Vortex Pooling. Moreover, our model (10.13FPS) shares similar computation cost with DeepLab v3 (10.37 FPS). 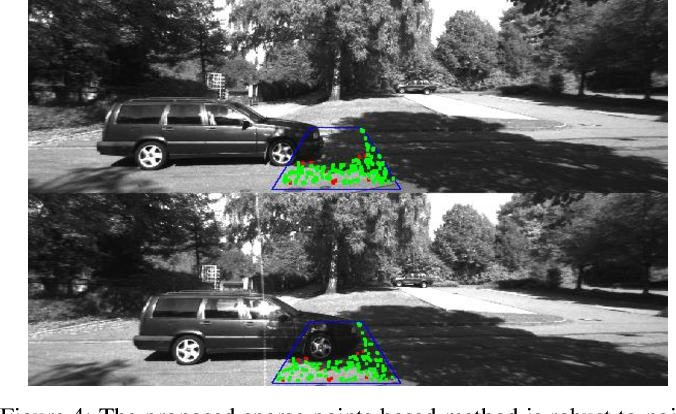 As a basic task in computer vision, semantic segmentation can provide fundamental information for object detection and instance segmentation to help the artificial intelligence better understand real world. 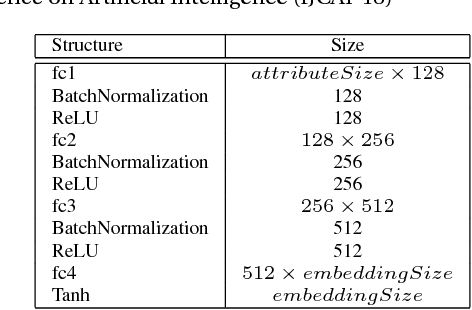 Since the proposal of fully convolutional neural network (FCNN), it has been widely used in semantic segmentation because of its high accuracy of pixel-wise classification as well as high precision of localization. 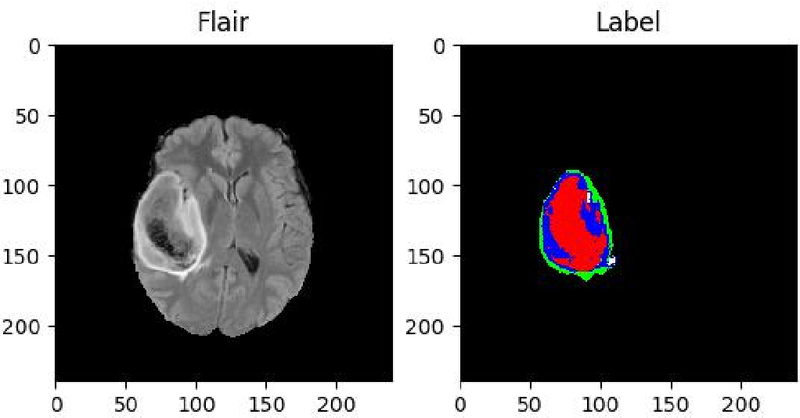 In this paper, we apply several famous FCNN to brain tumor segmentation, making comparisons and adjusting network architectures to achieve better performance measured by metrics such as precision, recall, mean of intersection of union (mIoU) and dice score coefficient (DSC). 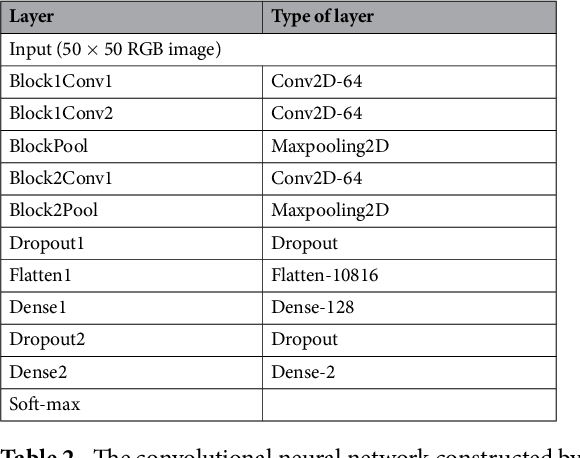 The adjustments to the classic FCNN include adding more connections between convolutional layers, enlarging decoders after up sample layers and changing the way shallower layers' information is reused. Besides the structure modification, we also propose a new classifier with a hierarchical dice loss. Inspired by the containing relationship between classes, the loss function converts multiple classification to multiple binary classification in order to counteract the negative effect caused by imbalance data set. Massive experiments have been done on the training set and testing set in order to assess our refined fully convolutional neural networks and new types of loss function. Competitive figures prove they are more effective than their predecessors. 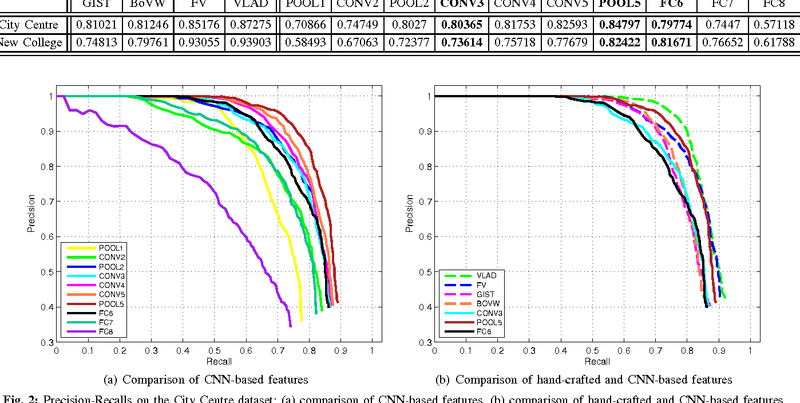 In this paper, we present a new automatic diagnosis method of facial acne vulgaris based on convolutional neural network. 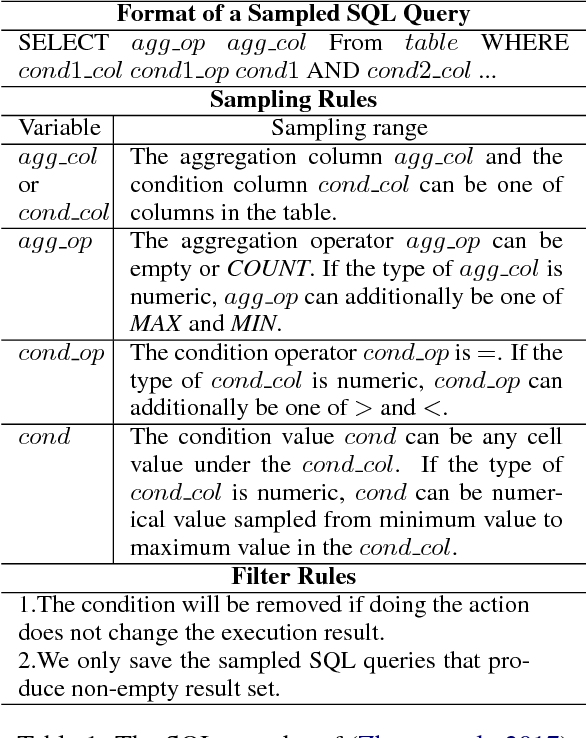 This method is proposed to overcome the shortcoming of classification types in previous methods. The core of our method is to extract features of images based on convolutional neural network and achieve classification by classifier. We design a binary classifier of skin-and-non-skin to detect skin area and a seven-classifier to achieve the classification of facial acne vulgaris and healthy skin. In the experiment, we compared the effectiveness of our convolutional neural network and the pre-trained VGG16 neural network on the ImageNet dataset. 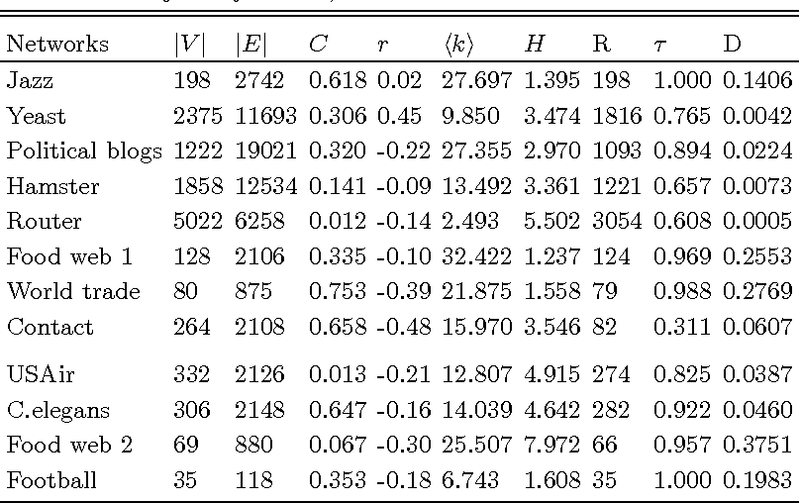 And we use the ROC curve and normal confusion matrix to evaluate the performance of the binary classifier and the seven-classifier. The results of our experiment show that the pre-trained VGG16 neural network is more effective in extracting image features. The classifiers based on the pre-trained VGG16 neural network achieve the skin detection and acne classification and have good robustness. Object detection aims at high speed and accuracy simultaneously. However, fast models are usually less accurate, while accurate models cannot satisfy our need for speed. A fast model can be 10 times faster but 50\% less accurate than an accurate model. 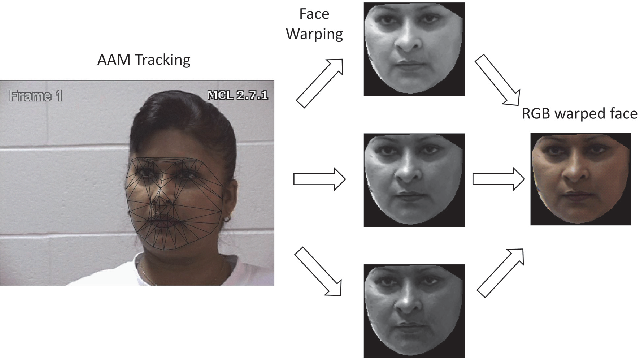 In this paper, we propose Adaptive Feeding (AF) to combine a fast (but less accurate) detector and an accurate (but slow) detector, by adaptively determining whether an image is easy or hard and choosing an appropriate detector for it. In practice, we build a cascade of detectors, including the AF classifier which make the easy vs. hard decision and the two detectors. The AF classifier can be tuned to obtain different tradeoff between speed and accuracy, which has negligible training time and requires no additional training data. 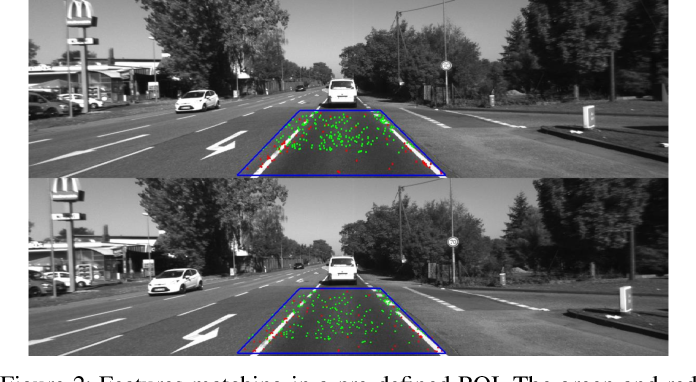 Experimental results on the PASCAL VOC, MS COCO and Caltech Pedestrian datasets confirm that AF has the ability to achieve comparable speed as the fast detector and comparable accuracy as the accurate one at the same time. As an example, by combining the fast SSD300 with the accurate SSD500 detector, AF leads to 50\% speedup over SSD500 with the same precision on the VOC2007 test set. The difficulty of image recognition has gradually increased from general category recognition to fine-grained recognition and to the recognition of some subtle attributes such as temperature and geolocation. 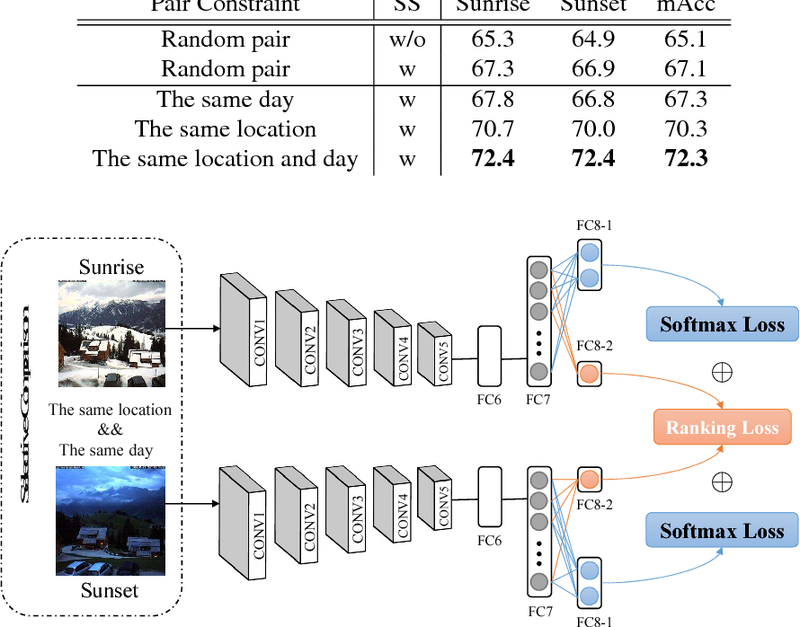 In this paper, we try to focus on the classification between sunrise and sunset and hope to give a hint about how to tell the difference in subtle attributes. Sunrise vs. sunset is a difficult recognition task, which is challenging even for humans. Towards understanding this new problem, we first collect a new dataset made up of over one hundred webcams from different places. Since existing algorithmic methods have poor accuracy, we propose a new pairwise learning strategy to learn features from selective pairs of images. Experiments show that our approach surpasses baseline methods by a large margin and achieves better results even compared with humans. We also apply our approach to existing subtle attribute recognition problems, such as temperature estimation, and achieve state-of-the-art results. Automatic pain intensity estimation possesses a significant position in healthcare and medical field. Traditional static methods prefer to extract features from frames separately in a video, which would result in unstable changes and peaks among adjacent frames. 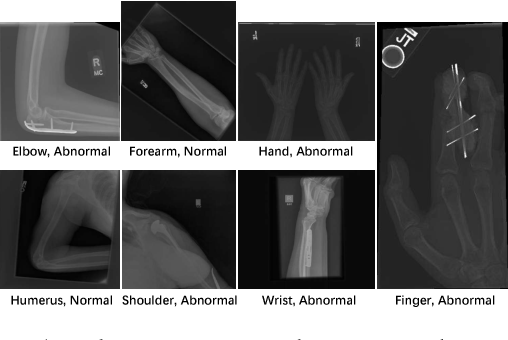 To overcome this problem, we propose a real-time regression framework based on the recurrent convolutional neural network for automatic frame-level pain intensity estimation. 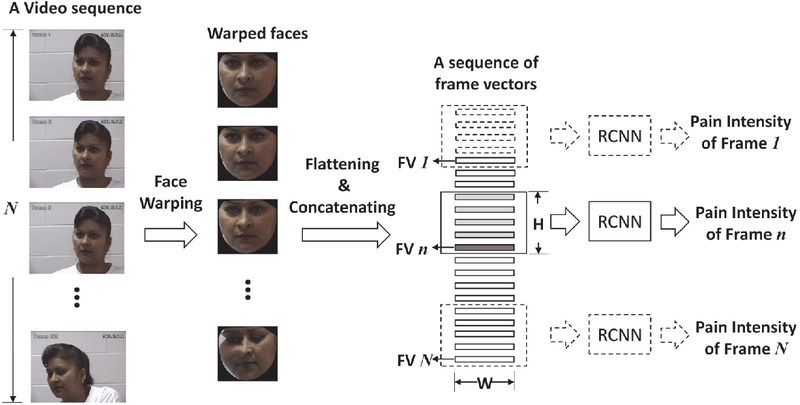 Given vector sequences of AAM-warped facial images, we used a sliding-window strategy to obtain fixed-length input samples for the recurrent network. We then carefully design the architecture of the recurrent network to output continuous-valued pain intensity. The proposed end-to-end pain intensity regression framework can predict the pain intensity of each frame by considering a sufficiently large historical frames while limiting the scale of the parameters within the model. Our method achieves promising results regarding both accuracy and running speed on the published UNBC-McMaster Shoulder Pain Expression Archive Database. Semi-Supervised Learning (SSL) has been proved to be an effective way to leverage both labeled and unlabeled data at the same time. 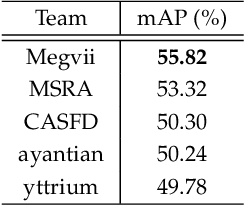 Recent semi-supervised approaches focus on deep neural networks and have achieved promising results on several benchmarks: CIFAR10, CIFAR100 and SVHN. However, most of their experiments are based on models trained from scratch instead of pre-trained models. On the other hand, transfer learning has demonstrated its value when the target domain has limited labeled data. 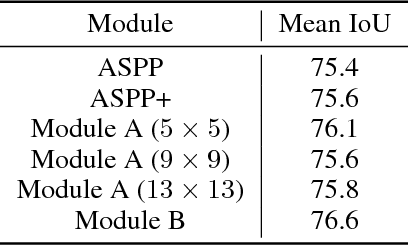 Here comes the intuitive question: is it possible to incorporate SSL when fine-tuning a pre-trained model? 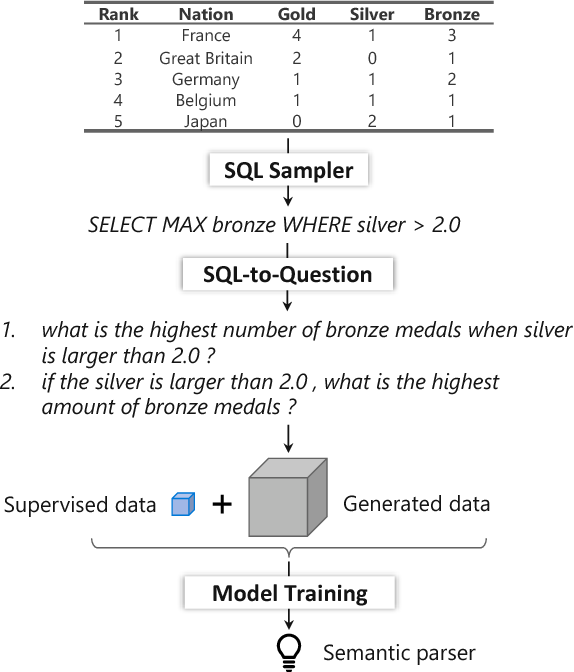 We comprehensively study how SSL methods starting from pretrained models perform under varying conditions, including training strategies, architecture choice and datasets. From this study, we obtain several interesting and useful observations. While practitioners have had an intuitive understanding of these observations, we do a comprehensive emperical analysis and demonstrate that: (1) the gains from SSL techniques over a fully-supervised baseline are smaller when trained from a pre-trained model than when trained from random initialization, (2) when the domain of the source data used to train the pre-trained model differs significantly from the domain of the target task, the gains from SSL are significantly higher and (3) some SSL methods are able to advance fully-supervised baselines (like Pseudo-Label). We hope our studies can deepen the understanding of SSL research and facilitate the process of developing more effective SSL methods to utilize pre-trained models. Code is now available at github. Appropriate comments of code snippets provide insight for code functionality, which are helpful for program comprehension. However, due to the great cost of authoring with the comments, many code projects do not contain adequate comments. Automatic comment generation techniques have been proposed to generate comments from pieces of code in order to alleviate the human efforts in annotating the code. Most existing approaches attempt to exploit certain correlations (usually manually given) between code and generated comments, which could be easily violated if the coding patterns change and hence the performance of comment generation declines. In this paper, we first build C2CGit, a large dataset from open projects in GitHub, which is more than 20$\times$ larger than existing datasets. Then we propose a new attention module called Code Attention to translate code to comments, which is able to utilize the domain features of code snippets, such as symbols and identifiers. We make ablation studies to determine effects of different parts in Code Attention. Experimental results demonstrate that the proposed module has better performance over existing approaches in both BLEU and METEOR. We designed a gangue sorting system,and built a convolutional neural network model based on AlexNet. Data enhancement and transfer learning are used to solve the problem which the convolution neural network has insufficient training data in the training stage. An object detection and region clipping algorithm is proposed to adjust the training image data to the optimum size. 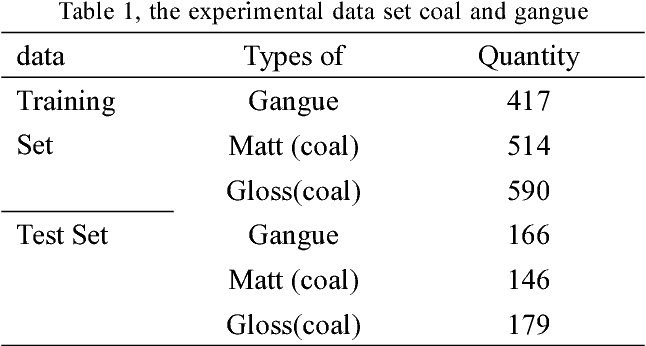 Compared with traditional neural network and SVM algorithm, this algorithm has higher recognition rate for coal and coal gangue, and provides important reference for identification and separation of coal and gangue. Inspired by practical importance of social networks, economic networks, biological networks and so on, studies on large and complex networks have attracted a surge of attentions in the recent years. Link prediction is a fundamental issue to understand the mechanisms by which new links are added to the networks. We introduce the method of robust principal component analysis (robust PCA) into link prediction, and estimate the missing entries of the adjacency matrix. On one hand, our algorithm is based on the sparsity and low rank property of the matrix, on the other hand, it also performs very well when the network is dense. This is because a relatively dense real network is also sparse in comparison to the complete graph. 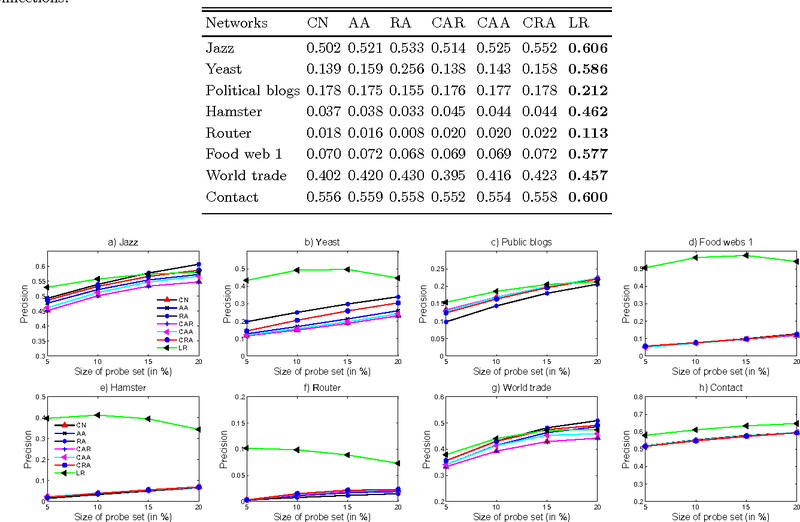 According to extensive experiments on real networks from disparate fields, when the target network is connected and sufficiently dense, whatever it is weighted or unweighted, our method is demonstrated to be very effective and with prediction accuracy being considerably improved comparing with many state-of-the-art algorithms. As we aim at alleviating the curse of high-dimensionality, subspace learning is becoming more popular. Existing approaches use either information about global or local structure of the data, and few studies simultaneously focus on global and local structures as the both of them contain important information. 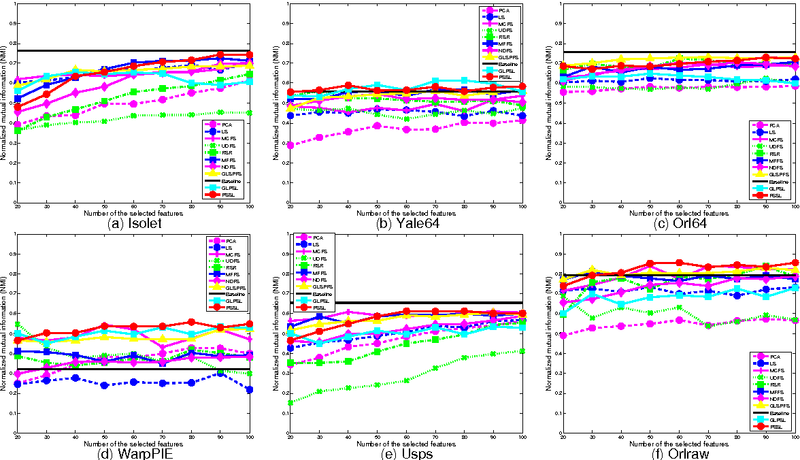 In this paper, we propose a global and local structure preserving sparse subspace learning (GLoSS) model for unsupervised feature selection. The model can simultaneously realize feature selection and subspace learning. In addition, we develop a greedy algorithm to establish a generic combinatorial model, and an iterative strategy based on an accelerated block coordinate descent is used to solve the GLoSS problem. 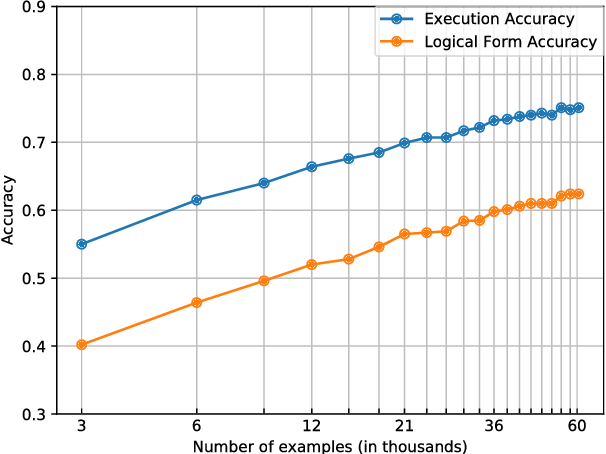 We also provide whole iterate sequence convergence analysis of the proposed iterative algorithm. 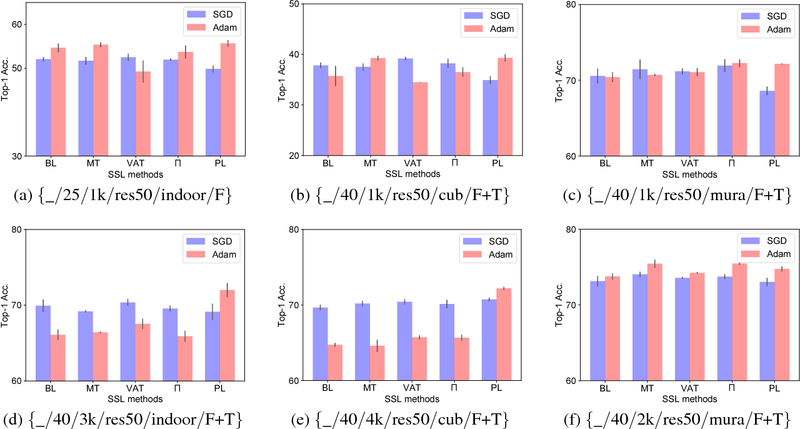 Extensive experiments are conducted on real-world datasets to show the superiority of the proposed approach over several state-of-the-art unsupervised feature selection approaches. Supervised learning methods are widely used in machine learning. However, the lack of labels in existing data limits the application of these technologies. 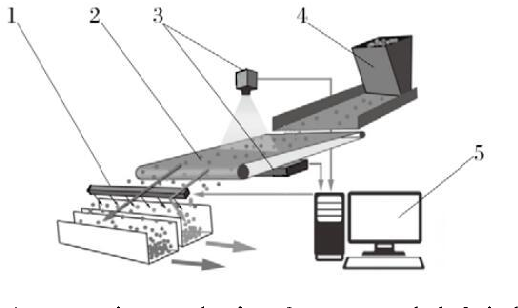 Visual interactive learning (VIL) compared with computers can avoid semantic gap, and solve the labeling problem of small label quantity (SLQ) samples in a groundbreaking way. In order to fully understand the importance of VIL to the interaction process, we re-summarize the interactive learning related algorithms (e.g. clustering, classification, retrieval etc.) from the perspective of VIL. Note that, perception and cognition are two main visual processes of VIL. On this basis, we propose a perceptual visual interactive learning (PVIL) framework, which adopts gestalt principle to design interaction strategy and multi-dimensionality reduction (MDR) to optimize the process of visualization. The advantage of PVIL framework is that it combines computer's sensitivity of detailed features and human's overall understanding of global tasks. 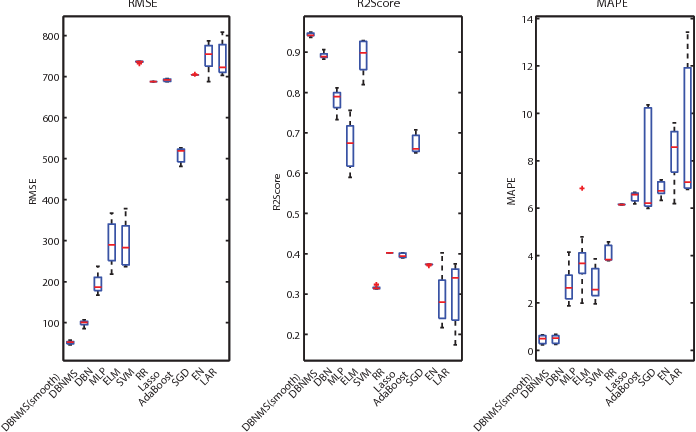 Experimental results validate that the framework is superior to traditional computer labeling methods (such as label propagation) in both accuracy and efficiency, which achieves significant classification results on dense distribution and sparse classes dataset. We study how to learn a semantic parser of state-of-the-art accuracy with less supervised training data. We conduct our study on WikiSQL, the largest hand-annotated semantic parsing dataset to date. First, we demonstrate that question generation is an effective method that empowers us to learn a state-of-the-art neural network based semantic parser with thirty percent of the supervised training data. Second, we show that applying question generation to the full supervised training data further improves the state-of-the-art model. In addition, we observe that there is a logarithmic relationship between the accuracy of a semantic parser and the amount of training data. 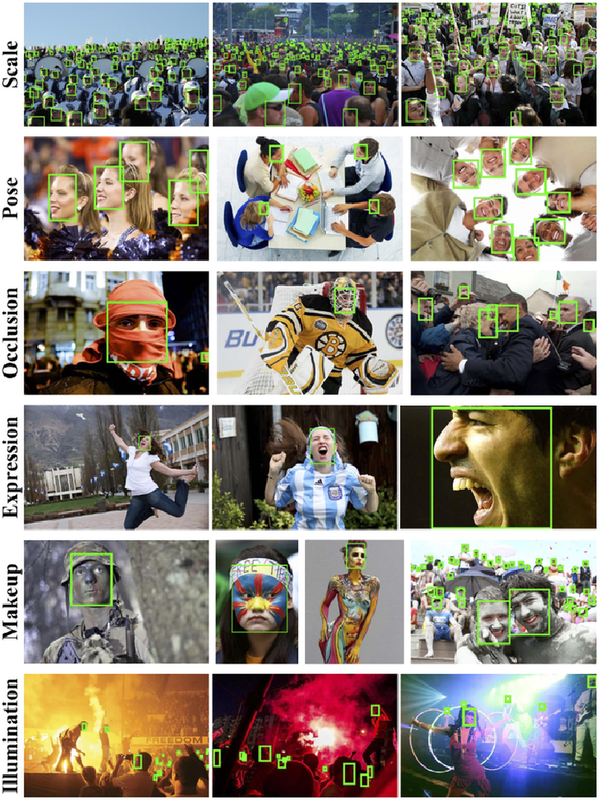 While attributes have been widely used for person re-identification (Re-ID) which aims at matching the same person images across disjoint camera views, they are used either as extra features or for performing multi-task learning to assist the image-image matching task. 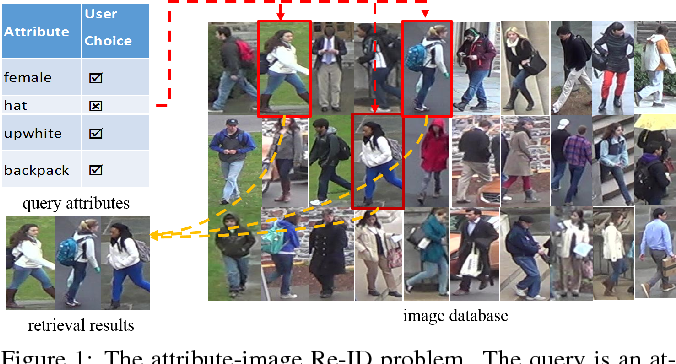 However, how to find a set of person images according to a given attribute description, which is very practical in many surveillance applications, remains a rarely investigated cross-modality matching problem in person Re-ID. In this work, we present this challenge and formulate this task as a joint space learning problem. 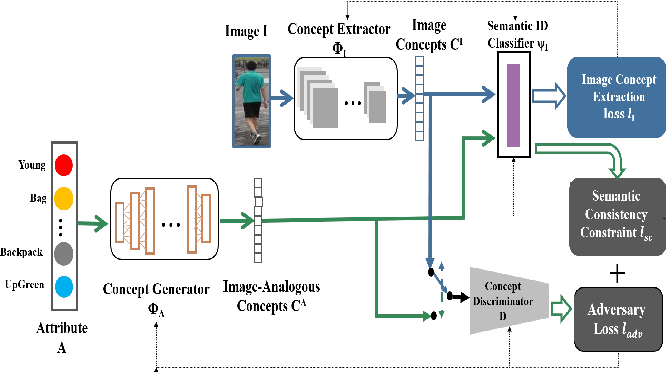 By imposing an attribute-guided attention mechanism for images and a semantic consistent adversary strategy for attributes, each modality, i.e., images and attributes, successfully learns semantically correlated concepts under the guidance of the other. 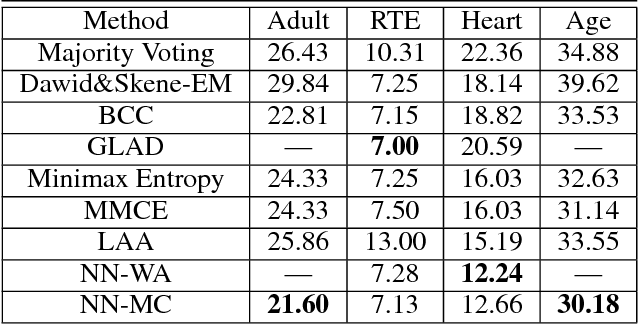 We conducted extensive experiments on three attribute datasets and demonstrated that the proposed joint space learning method is so far the most effective method for the attribute-image cross-modality person Re-ID problem. Multiple Camera Systems (MCS) have been widely used in many vision applications and attracted much attention recently. There are two principle types of MCS, one is the Rigid Multiple Camera System (RMCS); the other is the Articulated Camera System (ACS). 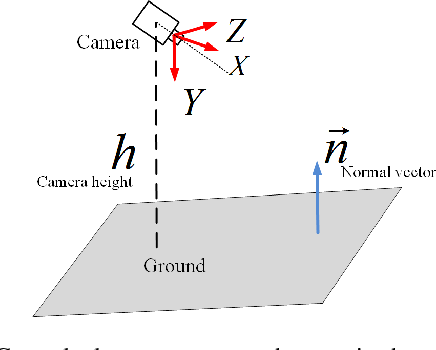 In a RMCS, the relative poses (relative 3-D position and orientation) between the cameras are invariant. 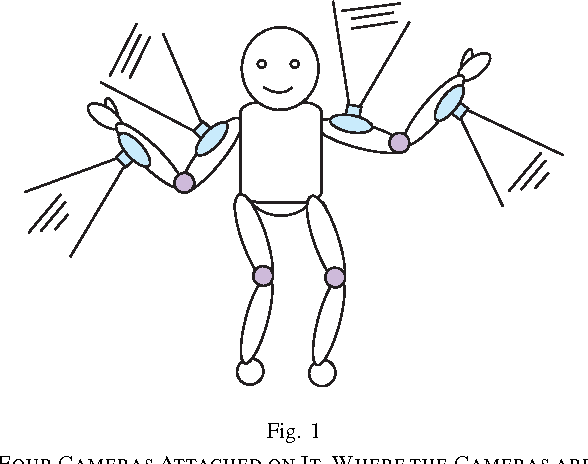 While, in an ACS, the cameras are articulated through movable joints, the relative pose between them may change. Therefore, through calibration of an ACS we want to find not only the relative poses between the cameras but also the positions of the joints in the ACS. In this paper, we developed calibration algorithms for the ACS using a simple constraint: the joint is fixed relative to the cameras connected with it during the transformations of the ACS. When the transformations of the cameras in an ACS can be estimated relative to the same coordinate system, the positions of the joints in the ACS can be calculated by solving linear equations. However, in a non-overlapping view ACS, only the ego-transformations of the cameras and can be estimated. We proposed a two-steps method to deal with this problem. In both methods, the ACS is assumed to have performed general transformations in a static environment. The efficiency and robustness of the proposed methods are tested by simulation and real experiments. In the real experiment, the intrinsic and extrinsic parameters of the ACS are obtained simultaneously by our calibration procedure using the same image sequences, no extra data capturing step is required. The corresponding trajectory is recovered and illustrated using the calibration results of the ACS. Since the estimated translations of different cameras in an ACS may scaled by different scale factors, a scale factor estimation algorithm is also proposed. To our knowledge, we are the first to study the calibration of ACS. Recovering the absolute metric scale from a monocular camera is a challenging but highly desirable problem for monocular camera-based systems. By using different kinds of cues, various approaches have been proposed for scale estimation, such as camera height, object size etc. In this paper, firstly, we summarize different kinds of scale estimation approaches. Then, we propose a robust divide and conquer the absolute scale estimation method based on the ground plane and camera height by analyzing the advantages and disadvantages of different approaches. 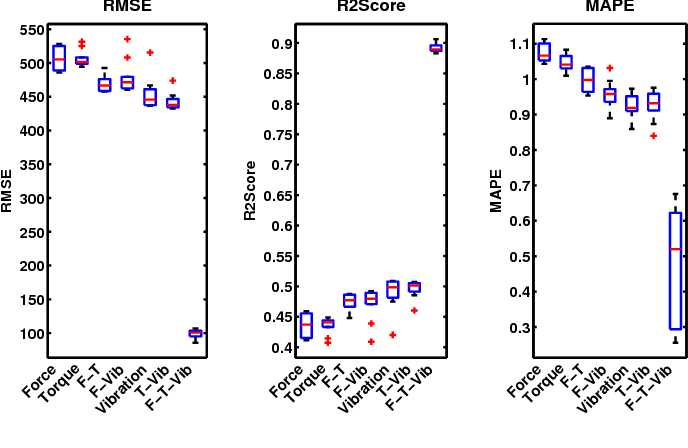 By using the estimated scale, an effective scale correction strategy has been proposed to reduce the scale drift during the Monocular Visual Odometry (VO) estimation process. Finally, the effectiveness and robustness of the proposed method have been verified on both public and self-collected image sequences.